One of the few labels i dislike the most is Prog Metal closely followed by Prog Metal itself. However, every once in a while i am sent an album that i don’t as readily reject as swiftly as i would normally especially with traces and traits of said sub-genre. 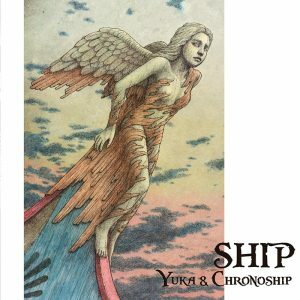 Such an album recently turned up in my in box in the form of The Ship by Yuka & Chronoship. 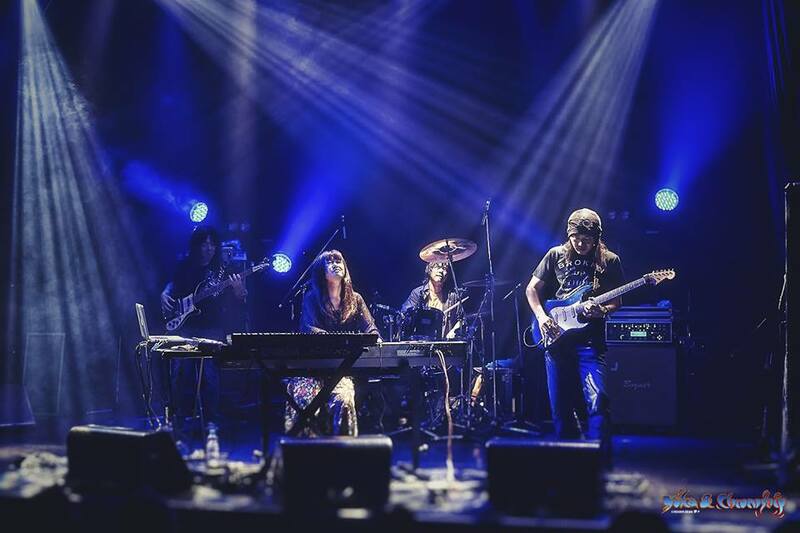 The band were formed in 2009 by Japanese keys player and vocalist Yuka Funakoshi. 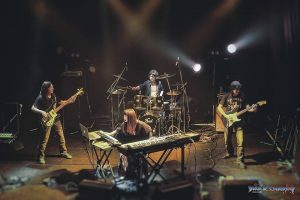 Yuka assembled a team of experienced session musicians, Takashi Miyazawa (guitars), Shun Taguchi (bass and production) and Ikko Tanaka (drums) who collectively recorded three successful albums prior to their new venture The Ship. As in true traditional Prog tradition the first seven pieces/tracks The Argo Suite are based on the mythological ship Argo on which Jason traveled along with his Argonauts to retrieve the golden fleece. The remaining four tracks still have ship in two of their titles though i believe they are stand alone and nothing to do with The Argo Suite. The rather sweet and soothing opener Tears Of The Figurehead is sung by no other than Curved Air’s Sonja Kristina who along with Juka’s tranquil piano instantly lulls the listener into the silent prelude to a sonic storm that becomes The Ship Argos. At this point i became a little bewildered thinking i had been suckered in to into a Prog Metal album disguised as my preferred and more sedate forms of music. The thrashing guitar licks here are a little bit too Bill & Ted for my liking and the double action kick drum pedal a step too far for this boy. However, subtle keyboard textures and Yuka’s voice are the pieces saving grace which after numerous plays had me tuned into the bands sound. The edgy synths dueled with Takashi Myazawa’s guitars which i eventually found uplifting. By the time Landing I was well into the stride of things and won over by the early Genesis Hammond sounds which are given a far heavier back drop and none the worse for it. Guitar too would not disappoint fans of Joe Satriani et al. Genesis Apocalypse in 9/8 given the steroid treatment. The same steely Hammond organ sound continues Golden Fleece this time with a nod and a wing to the late and very great Keith Emerson with guitars cutting nicely through the mix as does Yuka’s crisp piano playing. The pace quickens as the tale continues with A Dragon That Never Sleeps. A growling Chris Squire bass pastiche and a lighter touch on the drum kit finds the band traveling in the fast lane this time with a some slightly jazzier licks giving a more fusion slant on the music. Fabulous bass lines courtesy of Shun Taguchi which somehow morph into Genesis Duke era synth finale. Coming down from such a scale, acoustic guitar introduces the synth lead Island In The Stream. 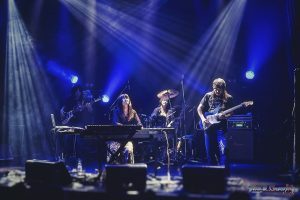 Along with piano and Mellotron Yuka lends her voice to the melody which will win many friends especially lovers of early camel, though Chronoship maintain the harder edge of the genre. Seamlessly seguing into to concluding piece from The Argo Suite, Return continues with a rock solid beat and a wide soundstage for the big finish. An interesting musical interpretation of a great tale. First of the stand alone pieces is The Airship Of Jean Giraud. Once again Tony Banks -like synth brakes are used to paint musical pictures of Giraud’s cartoon images and his visions of airships. Once again Juka using her voice as an instrument in a child-like chant rather than lyrical delivery. This definitely broadens the appeal of the band internationally whilst no doubt keeping them thriving in their homeland. i found the complex guitar and piano parts throughout this piece a joy to listen to and the Mellotron flute section calmed everything down beautifully. Blues guitar too had a sobering influence airing on Jan Akkerman’s style rather than the heavier form evident throughout the album thus far. In fact away from the previous seven track opus Chronoship sound a different band. Sung in Japanese Visible Light is quick off the mark with kick drum, bass and some excellent guitar picking. The sheer cohesiveness of this song transcends language barriers and once again demonstrating international appeal. Thought has also been given to flow and how the songs work sequentially as demonstrated with the perfectly placed jaunty acoustic guitar and organ piece Old Ship On The Grass. I make no apology of all comparisons made in this review as they are meant purely as descriptive statements to guide prospective purchasers of what to expect and should not be confused as a lack of originality as Yuka & Chronoship have this in spades. That said, once again i can well imagine Kate Bush fans warming to this song. What better way of concluding an album like The Ship than in a similar way as it begins? This is done rather splendidly with the beautiful Did You Find A Star? Originally intended to be sung by the late Prog legend John Wetton before his untimely passing. Instead singer Hirojuki Izuta lends her lilting voice to Yuka Funakoshi’s piano and flute pads to bring an end to a mainly power house of album in a tuneful and melodic way. The Ship ticks a lot of boxes and will appeal to a wide selection of rock music lovers. Shun Tagushi has made an excellent job of production though my review is based on the Mp3 version of the album and as a result did have a degree of compression. I would be inclined to choose the CD version based on this as well as the artwork. The Ship definitely steered me away from my usual course and commanded me to consider a heavier presentation of music than i would normally consider. No mean feat! An album no for analysis but enjoyment.